In this release, we added the ability for organization Administrators to manage and edit member user type, including their own. To edit a member’s user type, go to the Organization page, tap the Members tab, and select a member to view their profile. 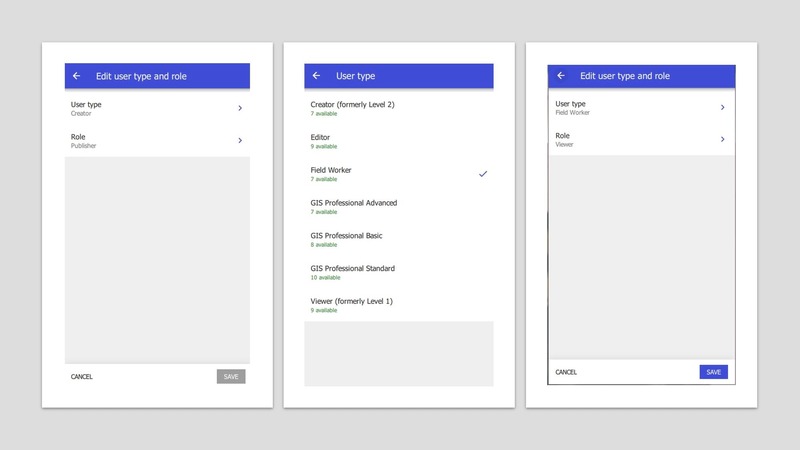 The following screenshots illustrate updating a member’s user type from Creator to Field Worker. 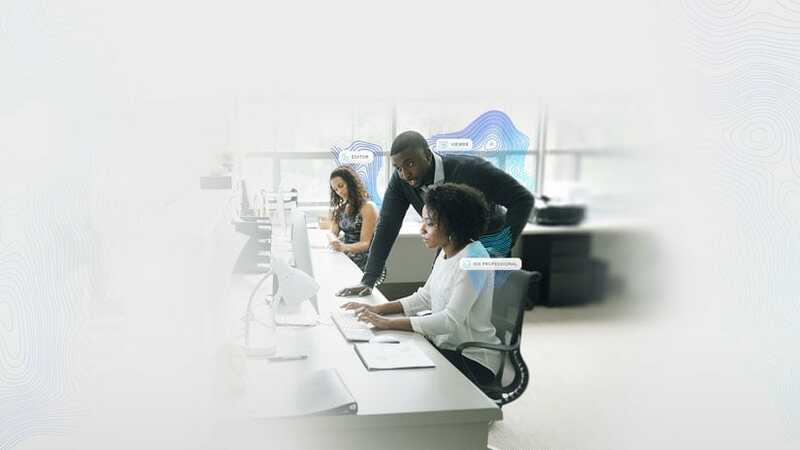 Notice that this process also automatically changed the role from Publisher to Viewer because the role must be compatible with the assigned user type. In this release, we have added filters to improve browsing content. You can choose to sort the list and filter items based on sharing and content status. This can be done for items in My content, My organization, and My favorites. It also remembers the last used Sort order. To filter content, go to the Content page and tap the filter icon. 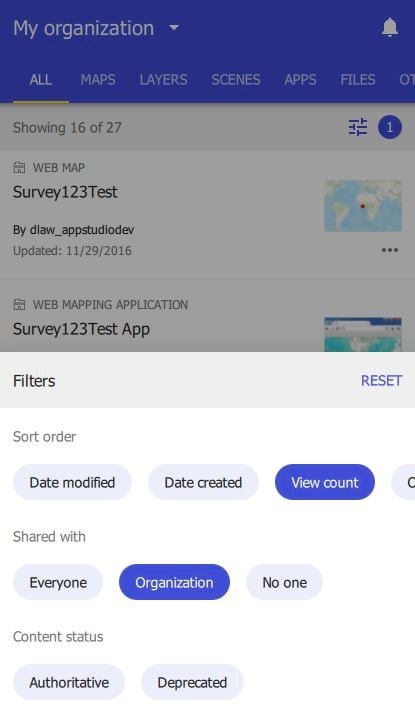 The following screenshot illustrates applying filters to show organization content that’s only shared with organization members and to sort the filtered list by view count. 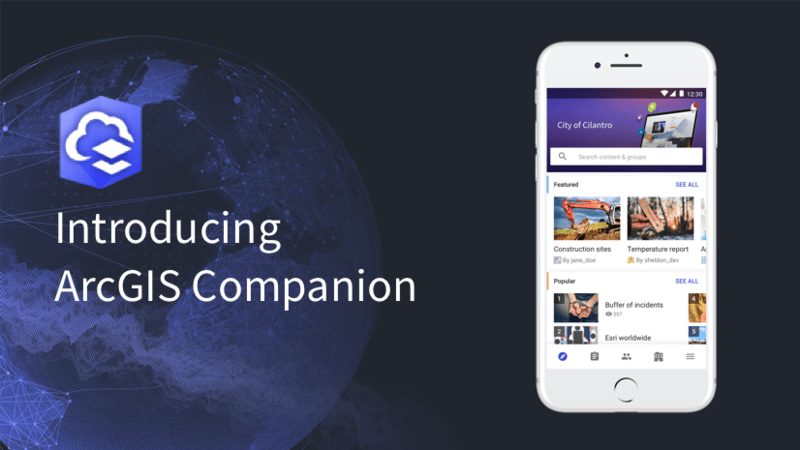 Similar to content filters, the group filters now provide a better experience to quickly filter groups based on ownership, who can view the group, and pending membership requests. 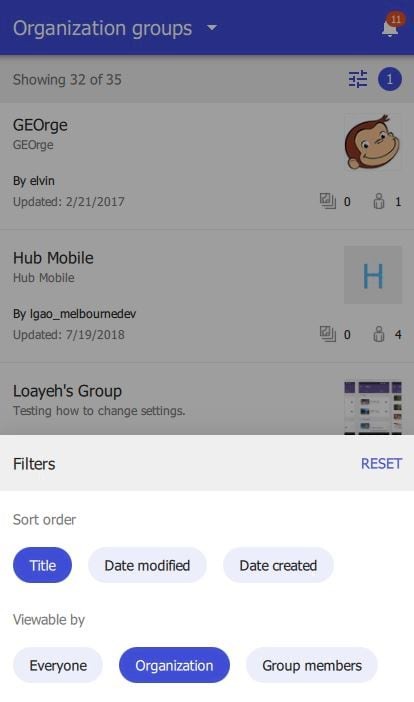 The filter and sort options are available with My groups and Organization groups. To filter groups, go to the Group page and tap the filter icon. The following screenshot illustrates applying filters to show organization groups that can only be viewed by organization members and to sort the filtered list by title. Similar to content filters, the member filters now provide a better experience to quickly filter members based on organization role and user type. To filter members, go to the Organization page, tap the Members tab, and tap the filter icon. 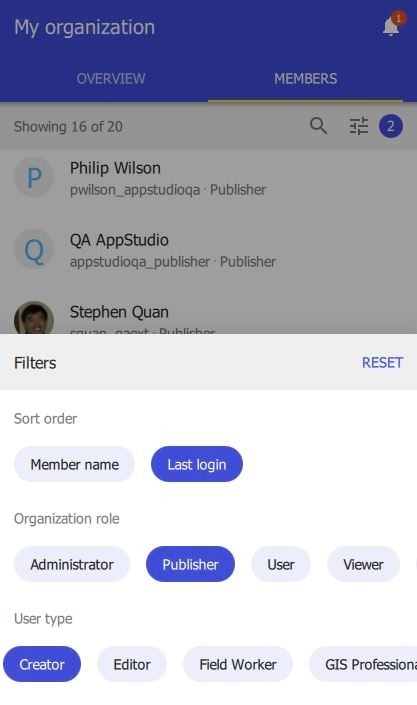 The following screenshot illustrates applying filters to show only members in the organization who are assigned the Publisher role and Creator user type and to sort the filtered list by the date members last signed in to the organization. Did you miss our v1.3 update announcement? You can read all about it here. We are always working to improve the app for a better user experience. 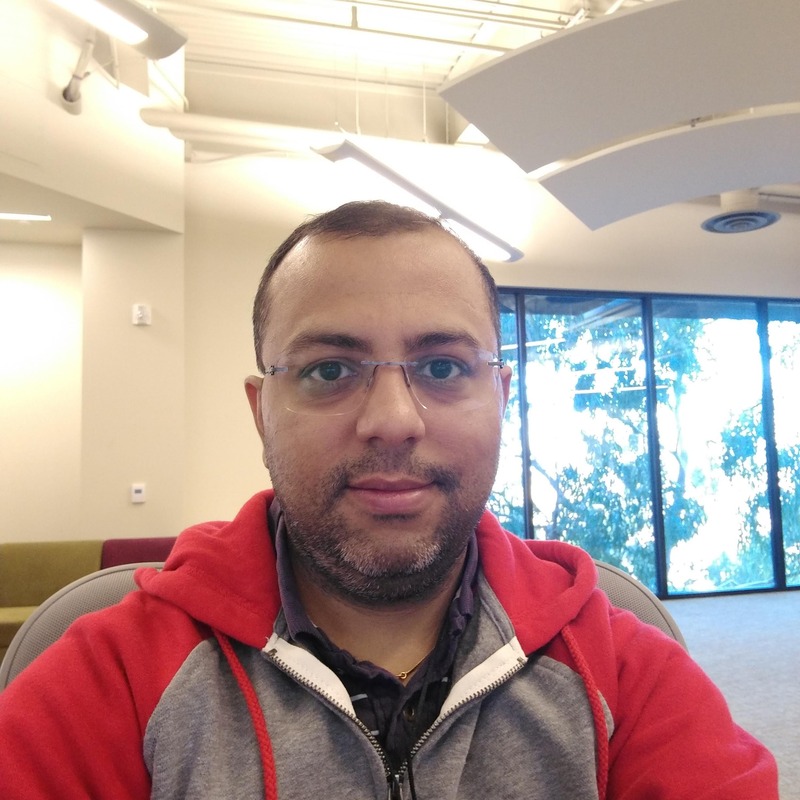 This release provides support for new features of the platform such as user types, as well as other enhancements and bug fixes. 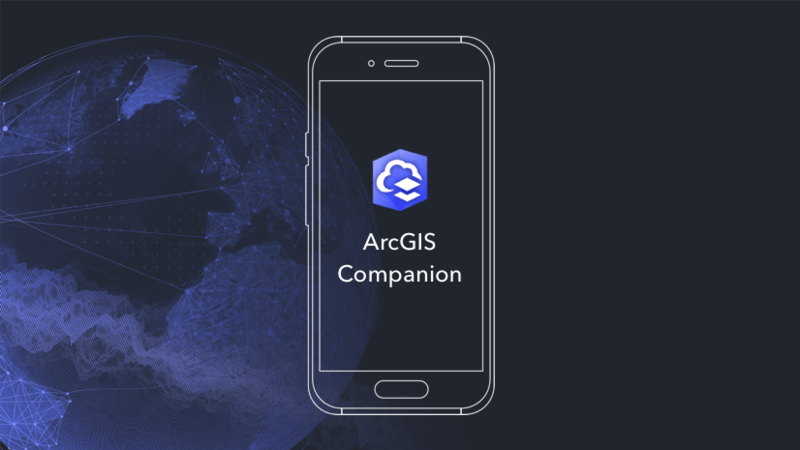 Please continue to send your feedback via Esri Support or GeoNet community. We’d like to hear from all sides on what would make the app even more useful for you and your organization.